Cyborg 009 repurposed the theme songs from the previously released movies, but the show was animated in black and white. It remained fairly true to the source manga, although one character was change into a young child. 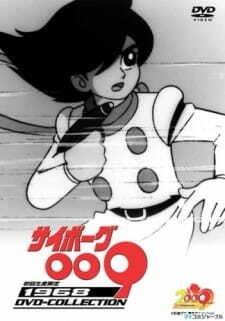 The anime has obvious visual ties to the groundbreaking Astro Boy, and was marketed in some countries as "Astro Boy 009").